Always the jokester, our jester " smokes" your favorite incense. 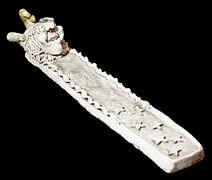 Holds any standard incense stick. 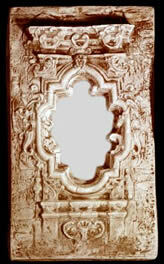 This wonderfully detailed mirror is a splendid addition to any home. It is perfectly sized at 19 1/2" H x 11" W to beautifully complete any decor. 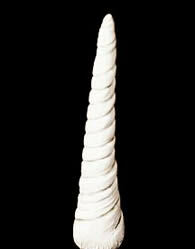 Unicorn's Horn - From one of the most enchanted creatures ever to grace this world. The horn of a unicorn possesses extereme majical powers. A most enlightening conversation piece.